Ensure students acquire the academic skills, dispositions, and knowledge necessary for long-term success. 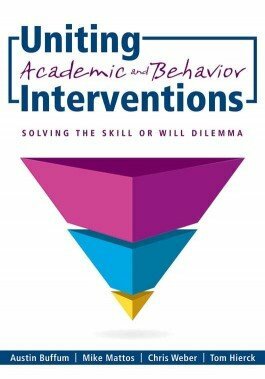 The authors examine effective academic and behavior supports and offer a step-by-step process for determining, targeting, and observing academic and behavior interventions. You'll discover how to work in collaborative teams using a research-based framework to provide united and simultaneous interventions to students at risk. Realize the role behavior plays in students' academic performance. Identify the academic skills and knowledge, academic behaviors, and social behaviors necessary to developing a successful learner. Learn to simultaneously administer academic and behavior interventions to students at risk. Understand the need to make sure students are prepared to work independently and cooperatively and possess the academic skills and creativity to compete in the future job market. Gain intervention strategies to foster lifelong learners.